Skin care in your 40’s and 50’s might seem like a daunting process. What was once taut and radiant may have lost its original luminescence. There is no need to fret. With age comes wisdom and knowledge of what your skin requires, reacts to and will thank you for later. The first step towards resilient and vital skin is learning its demands. 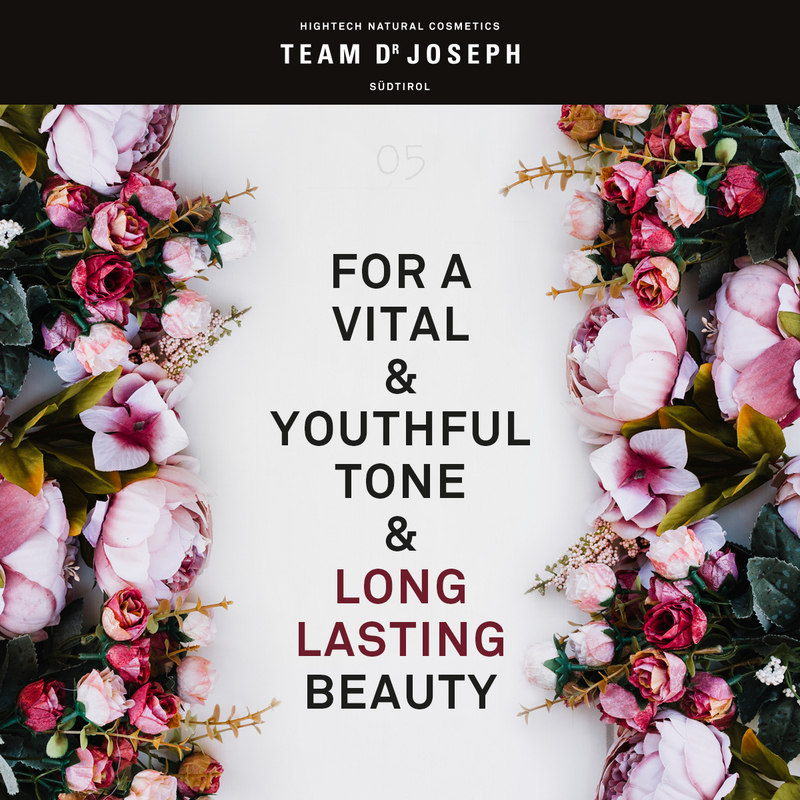 Throughout life, you might have noticed and appreciated the structure, soul and active substances of natural ingredients, quickly being humbled by the awe-inspiring biological cultivation of plants in their natural habitat. Team Dr Joseph knows that no laboratory is greater than their garden. Nothing is more important to them than carefully capturing nature’s diversity and creativity. That is the only way that they make their products at such a high-quality. 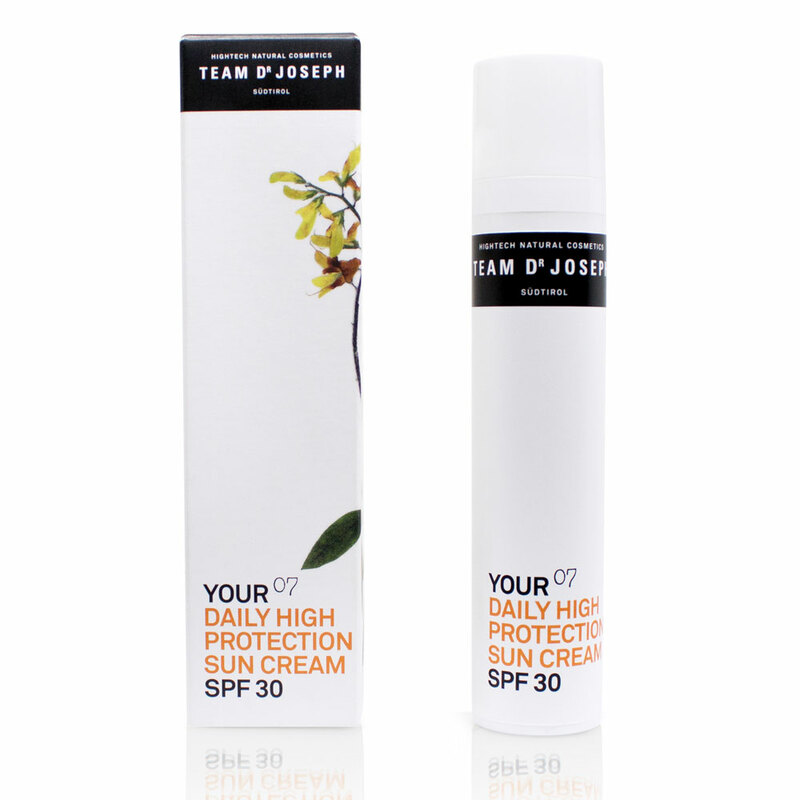 Protect your skin against the harsh rays of the sun. Sun protection forms the foundation of any anti-aging skin care regime. Excessive sun exposure leads to hyper-pigmentation, wrinkles, premature aging and dryness. Moisturise, moisturise, moisturise! 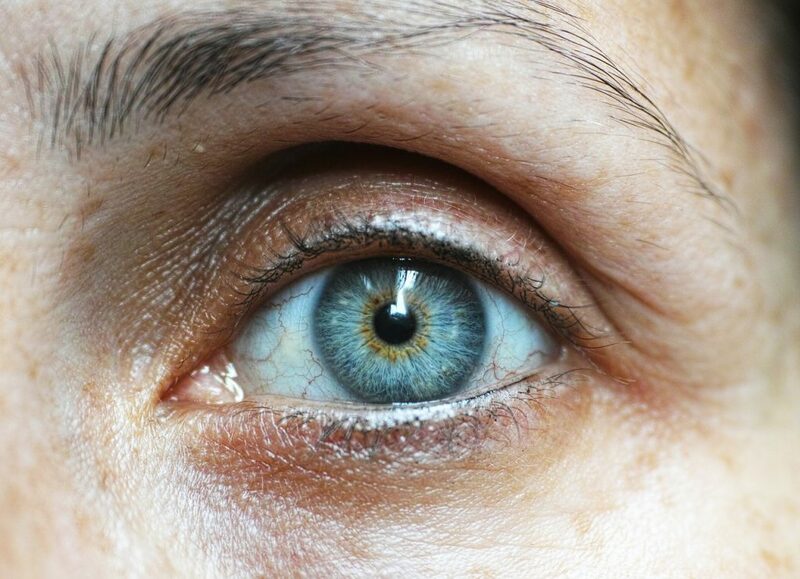 As we age, skin becomes drier. Fine lines and wrinkles then appear. 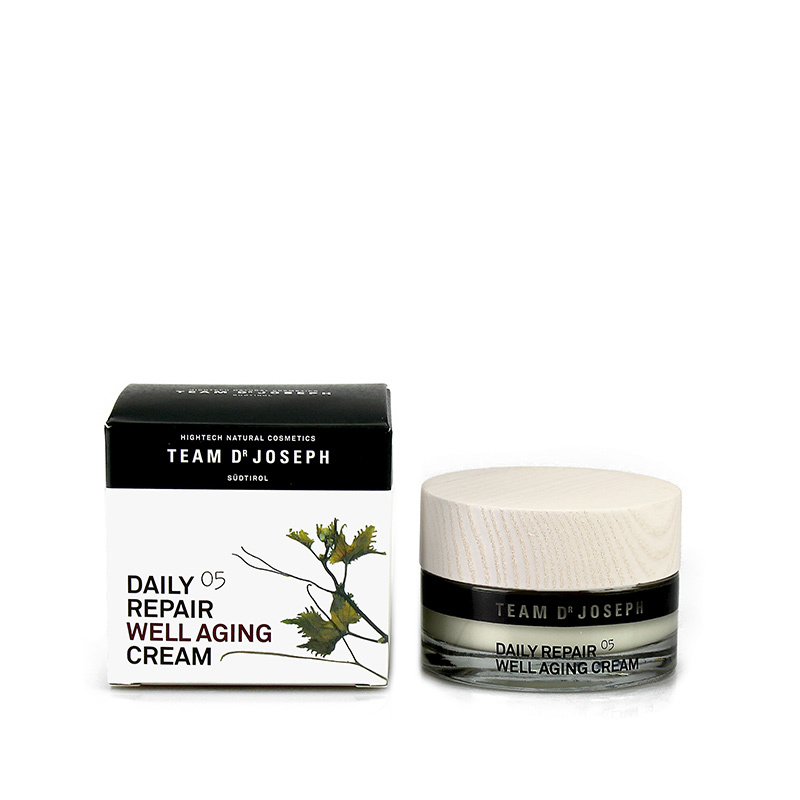 Team Dr Joseph’s Daily Repair Well Aging Cream provides demanding skin with intensive moisture and firming active ingredients to preserve a youthful beauty as does the Intense Hyaluronic Age Repair Cream. 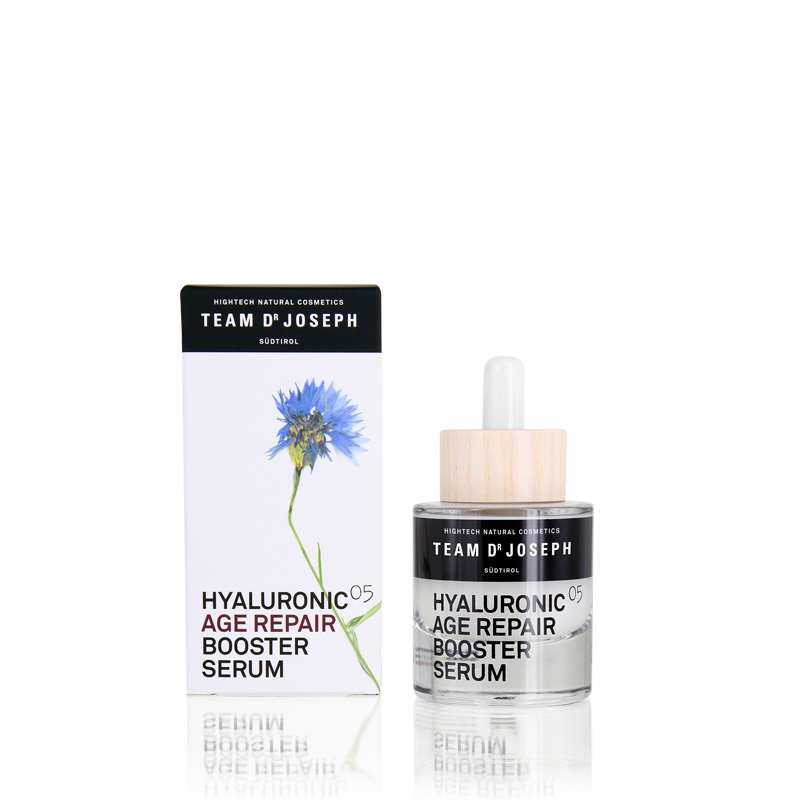 A booster serum for an intensive treatment of the demanding, mature facial skin, with biotechnological hyaluronic acid, hibiscus extract and unique, selective luxury ingredients, for a visibly smooth, firm and youthful glow. 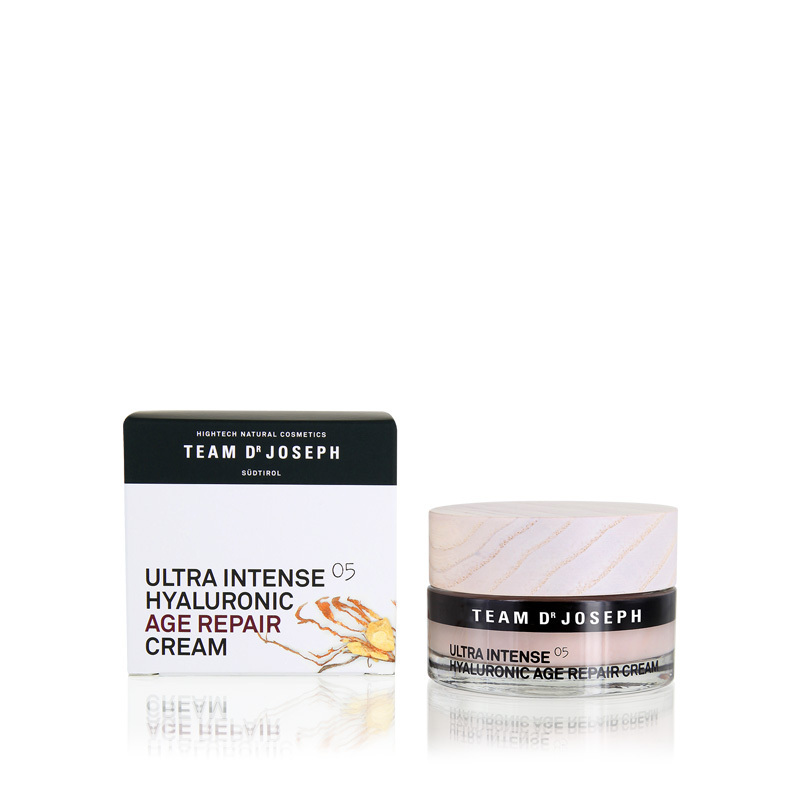 This Team Dr Joseph serum makes a wonderful addition to any anti-aging skin care regime. 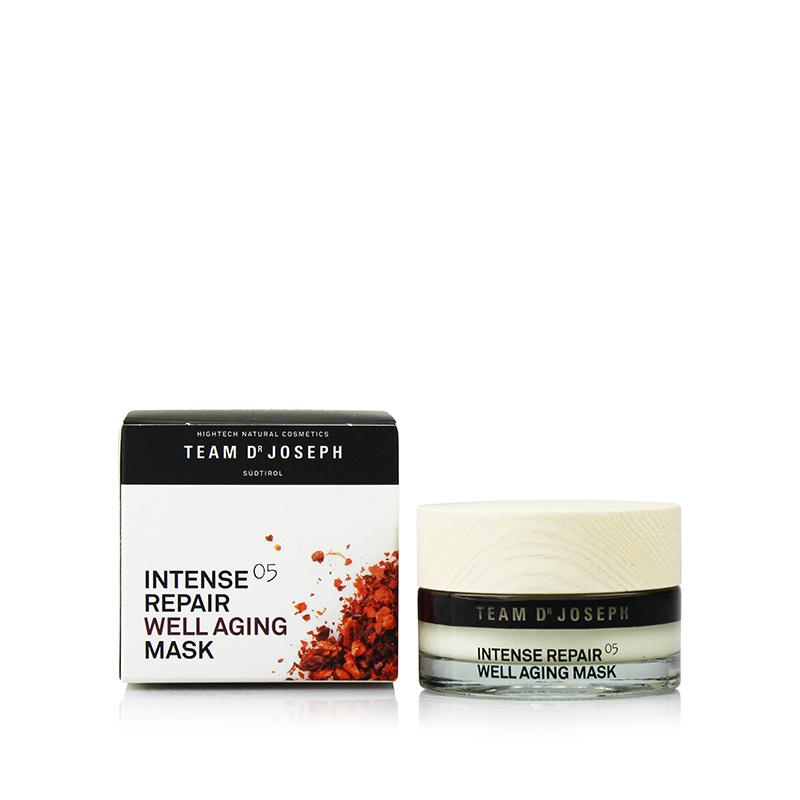 Combining a variety of herbal power ingredients, the Team Dr Joseph facial mask treats a more demanding, mature skin resulting in firm and radiant complexion. Do not minimise the importance of sticking to a healthy diet and getting plenty of sleep!